Facebook is the largest social media network in the world. There are millions of daily active users with this awesome social media network. If you are planning to drive traffic to your website, you can't reject any other network by rejecting facebook. Since 2004, Facebook becomes the most popular social media network among world internet users. Nowadays, the popularity also gradually increasing and thousands of internet marketers use this marketing tool to reach the audience to their products and services. If you are a blogger or website owner, You must target facebook first because this is the ideal social media network reach a big audience within a short period of time. With Facebook ads, you can drive absolutely 100% correct audience to your blog post, landing page or product. 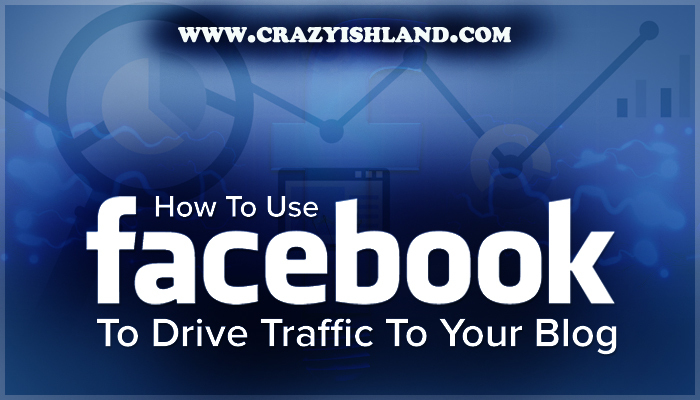 In this guide, we are going to talk about the best ways to drive traffic from facebook. If you are an active Facebook user, I’m sure you have definitely participated in the facebook group activities. There are thousands of Facebook groups for different niches. For example, there are hundreds of groups for share blog posts and there are other hundreds of Facebook groups for online help, PC tips, Youtube Video sharing, and any other purposes. Most of the users in these groups are lovers of that niche. Before post on these groups, you should first join them. When joining any group, please consider how many group members and whether is that active or not. After joining to groups related to your niche, engage with other users in those groups, Give likes, comments, and shares for their posts. This will make a lot of friends for you. Then you can share your posts or sell the item on these groups. Please share your new ideas, photos, videos as well as tips and tricks too. Remember thoroughly to don’t spam on these groups. Please read rules and regulations before joining them and work according to them. 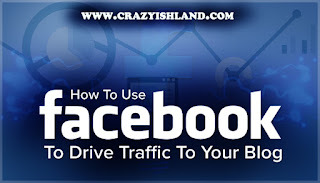 The number one method for drive traffic from facebook is Facebook Pages. You can start a facebook page for your blog or website. As well as you can start a facebook page with your brand name. Then you must try to get more likes. More likes help to reach more people to your posts. You buy facebook likes from facebook too. Normally you can get 900-1500 target likes for 10$. Don’t buy facebook like packages from Fiverr or other websites. They are completely fake likes. If you need to increase likes, just paid to Facebook and get likes. You also can boost your Facebook posts. Always remember to select the correct audience. Another most important thing is updating your page regularly. It is important because your audience expects new things always. Reach depend on how to regularly update the page. Share photos, short videos to get more engagements. When you are getting more engagements, your traffic also will increase. Always try to publish engaging contents. In the early stage, you have to work hard to promote your own Facebook page. If you have multiple facebook accounts with a lot of friends, you have a good chance to get traffic from them. Keep updating regularly on these profiles and ask friends to share your new blog posts. When someone shares your blog posts, the friends of friends can see your blog post too. Include your website link on all profiles and everywhere to find easily. You can tag friends for facebook posts, tag many friends who are interesting on your blog and ask them to engage with your content. Publish photos and tag friends. Photos attract many viewers rather than contents. These are the ways that we are using to drive traffic from facebook. If you are using the different method than us, simply mention it in the comment section below. You can use these methods to promote your affiliate products and services. Please be active on Facebook and make new friends always. This will definitely beneficial in the future. If you have a landing page, I recommend using Facebook ads for the select audience clearly. Please share this blog post among your Facebook friends too.